Hearing loss can happen at any time in your life — not just when you’re ‘getting old’. When hearing loss occurs, the ear stops effectively funnelling sounds to the brain for decoding. This can be corrected with a hearing aid which turns up the volume for the human ear. Hearing loss does not discriminate — it affects young and old from all walks of life. Fortunately, we offer a range of solutions to get you hearing again. We are bloom hearing and we care about hearing as much as you. Our qualified experts specialise in every aspect of correcting your hearing and getting you back to living your life. We offer free hearing tests, thorough examinations and diagnosis, with leading solutions to correct your hearing. Creates perfect listening conditions automatically, adapting to the listening environment and situation you are in. Customise your own hearing experience with the BEYOND app for Apple iPhone. Introduces new standards for clarity and purity of hearing in any environment. 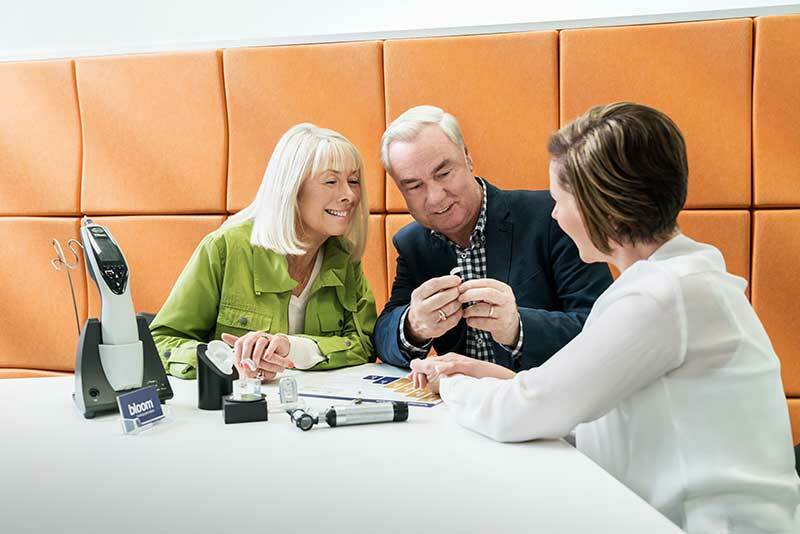 Whether it’s high or low frequency sounds in quiet or noisy environments, no other hearing aid can provide you with such a wide range of comfortable, clear sounds. EVOKE is the first hearing aid that keeps on learning, adjusting to your needs and environment in real time. When it’s noisy, EVOKE filters out anything that can distract from hearing speech. But in quiet situations, EVOKE quickly adapts to help you hear all the subtle details.